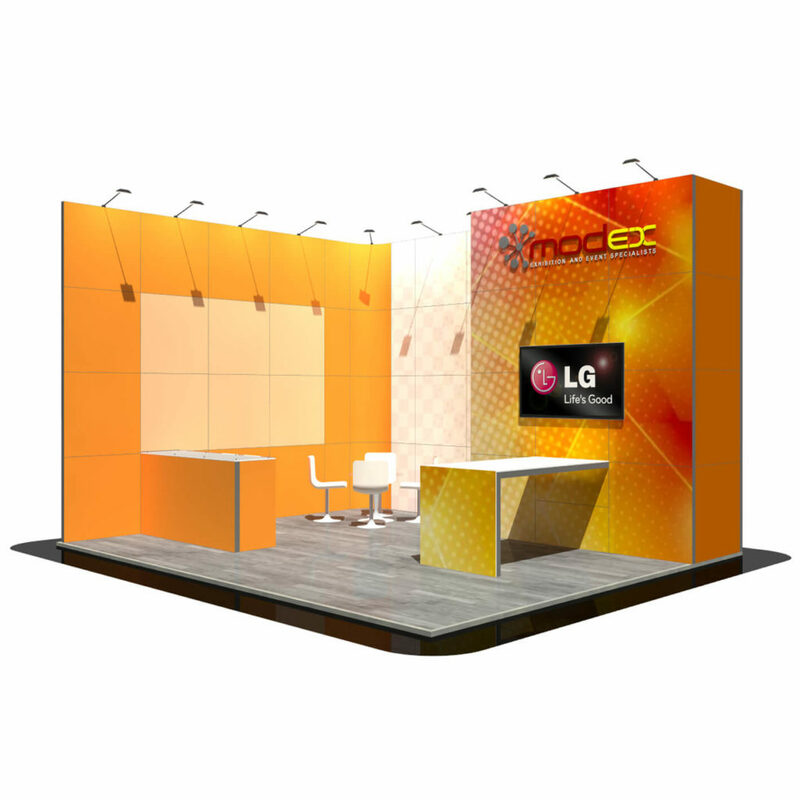 A 6 x 5 metre exhibition stand that consists of a storeroom, meeting area, desk and reception counter with lockable cupboard. Even with all of this included the stand is still spacious and free from clutter. The 2 main walls have plenty of advertising space for company branding and product images and also has a large display screen for a rolling video.